The Verona wall-mount features a straight glass canopy that not only functions as a high-performance ventilation system, but also as an ambiance-enhancing work of art. It has an LED display that features "Cloud White," "Deep Blue," and "Amber" colors to best match your kitchen's design and mood. 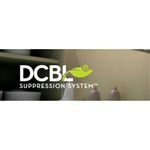 The DCBL Suppression System with Bloom LED light bulbs and LCD display controls provide optimal performance and your kitchen will be free of smoke and vapors thanks to the high-powered, 715 CFM blower. The Essentials Collection- Chimney Wall and Downdraft 36" Verona Wall-Mounted Range Hood by Zephyr at Furniture and ApplianceMart in the Stevens Point, Rhinelander, Wausau, Green Bay, Wisconsin Rapids, Marshfield, East and West Madison, Wisconsin area. Product availability may vary. Contact us for the most current availability on this product. 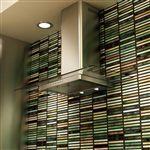 The Essentials Chimney Wall and Downdraft Collection provides an expansive array of wall and downdraft range hoods with an abundance of styles and performances. Included within the collection are Essentials Europa Models: Angolo, Anzio, Firenze, Milano-G, Milano-S, Modena, Roma, Savona, Venezia, Sorrento, and Verona; and Essentials Power Models: Cypress and Tempest II. Each hood in the collection has its own unique touch and qualities that will suit your dream kitchen to perfection. The Essentials Collection- Chimney Wall and Downdraft collection is a great option if you are looking for Appliances in the Stevens Point, Rhinelander, Wausau, Green Bay, Wisconsin Rapids, Marshfield, East and West Madison, Wisconsin area. Browse other items in the Essentials Collection- Chimney Wall and Downdraft collection from Furniture and ApplianceMart in the Stevens Point, Rhinelander, Wausau, Green Bay, Wisconsin Rapids, Marshfield, East and West Madison, Wisconsin area.